We are efficiently meeting the requirements of numerous customers across the nation by manufacturing and exporting a wide range of Non Return Valve. 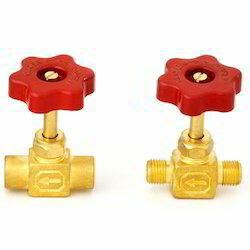 Our valves are useful to avoid the flow of gas back at manifolds. 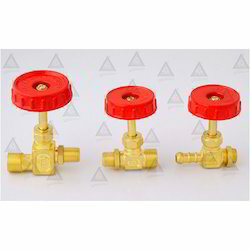 The valves are manufactured under the firm guidance of the expert supervisors, using only best quality brass, obtained from trusted vendors. We coat the Non Return Valve with anti corrosive materials for protection against corrosion. 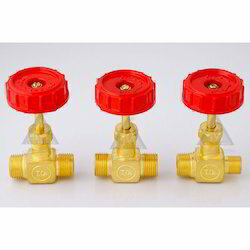 This Valves are available in Heavy,Medium & Light Body. 1/2" B.S.P.T.M X 1/2" B.S.P.M. Packaging As per buyer requirements. Size : 1/2" B.S.P.T.M.x M.E.C.V. 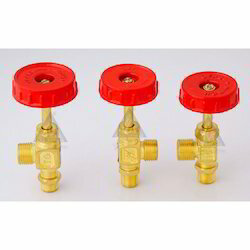 This Valves Are Available in Heavy, Medium and Light Body. We have reached the pinnacle of success and earned a name as an eminent manufacturer and exporter of Main Line Shut Off Valves. 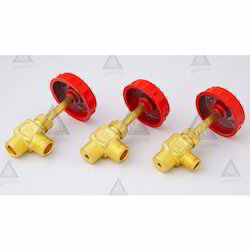 Used as emergency valves in various chemical and water tanks, these are available in different sizes and finishing as per the client's requirements. 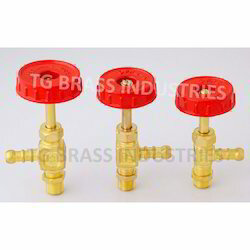 We manufacture the valves in compliance with the set industrial norms, using best quality brass materials. We offer the Main Line Shut Off Valvesat the cost effective prices to the clients. 1/4” B.S.P.P.M. X 1/4” B.S.P.P.M. 3/8” B.S.P.P.M. X 3/8” B.S.P.P.M. 3/8” B.S.P.P.F. X 3/8” B.S.P.P.F. 1/4” B.S.P.P.M. X 1/4” B.S.P.P.F. 3/8” B.S.P.P.M. X 3/8” B.S.P.P.F. 1/4” B.S.P.P.M. X 3/8” B.S.P.P.M. Owing to rich field knowledge as well as professional workforce, we have achieved a noted position as a leading manufacturer and exporter of Straight Nozzle Valve. 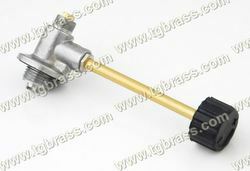 To manufacture the valves we use optimum quality brass materials, sourced from the most reliable vendors. 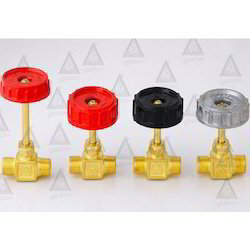 Available in different sizes and finishing, our valves are used to control the fluid flow rate. We offer our Straight Nozzle Valve at the market leading prices. We are a fast-paced organization, committed to meet the rising needs of our valuable clients by manufacturing and exporting a wide range of Gas Valve. Our diligent workforce uses finest quality brass and steel, sourced from the authentic vendors to manufacture the valves. In gas tanks these valves are attached to control the flow of gas. 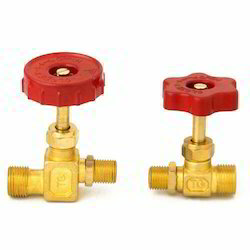 The clients can obtain our Gas Valve in different sizes and finishing as per their requirements and that is at the cost effective prices.